Mumbai: In an attempt to go one step ahead in ease of doing business the overseas borrowing norms have been simplified. 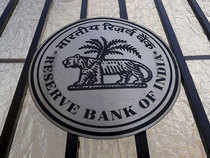 The Reserve Bank of India has rationalised the overseas borrowing norms allowing a uniform borrowing limit of Rs 750 million a year across tenors. It has also broadened the scope of borrowers by allowing all entities that are eligible for foreign direct investment (FDI) to borrow through the external commercial borrowing (ECB) route. The government has been opening up this sector to attract capital flows ever since the rupee started depreciating steeply vis-a-vis the dollar since April 2018.The current system of two categories-Track I- medium term ECB of three to five years Tracks II- long term ECB of upto ten years are now merged into one under the existing framework as “Foreign Currency denominated ECB”, according to a release by the Reserve Bank on Saturday.The Track III, where the eligible borrowers are NBFCs and microfinance institutions and the rupee denominated borrowings are combined as “Rupee Denominated ECB” to replace the current four-tiered structure. “The framework is instrument-neutral” RBI said. All eligible borrowers can now raise ECBs up to USD 750 million or equivalent per financial year under the automatic route replacing the existing sector wise limits. The list of eligible borrowers has also been expanded and al entities eligible to receive foreign direct investment can borrow under the ECB framework. The minimum average maturity period (MAMP) has been kept at 3 years for all ECBs, irrespective of the amount of borrowing instead of multiple layers in the existing framework. Any entity who is a resident of a country which is FATF or IOSCO compliant will be treated as a recognised lender. This change increases the lending options and allows various new lenders in ECB space, RBI said.